Should You Use A Free Dash Cam App? - Which? 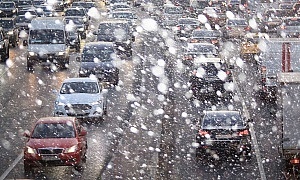 Dash cam apps are a cheap alternative to a conventional dedicated dash cam - but can they be called on to keep you safe? Dash cams are a great way to protect yourself while driving, but the price tag may be a turn-off for some. When buying a new type gadget that you've never used before, it can be hard to see the benefits. How can you be sure it will make a difference to your life? If you're being asked to spend upwards of £250, you'll understandably be a bit hesitant. Looking to buy a fully fledged dash cam? 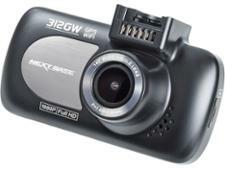 Click the link to see our Best Buy dash cams. What is a dash cam app? Dash cam apps claim to convert your smartphone into a dash cam. As every smartphone has a front-facing camera and the ability to record video, it's an undeniably logical step to take. You simply fix your smartphone to a holder attached to your windscreen or dashboard, open up the app, and hit record. The app then ensures that your smartphone keeps filming and doesn't switch off before your journey is completed. It will also, if it's any good, use loop recording to ensure that your phone's storage doesn't get completely filled up with recorded footage. Better dash cam apps will also use your phone's built-in GPS to track your speed and location, much like a genuine dash cam would. While this all sounds very promising, it's not as simple as it's made out to be. Most are very cheap - free even, with some costing nothing at first followed by a minimal amount (£1.79-£10) to unlock the full version. 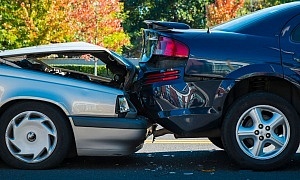 Can you trust dash cam apps? The simple answer is 'no'. All of their functionality comes second to one simple question: does it capture clear, sharp footage? This depends entirely on the smartphone you're using. We can't test dash cam apps because 'video quality' is not a constant with them. Even if you have a top-of-the-line smartphone such as an Apple iPhone 7 or a Google Pixel, both of which have outstanding cameras, there's no guarantee that they will record good dash cam footage. The lens angles are narrower, they don't handle glare as well, and moving objects will be blurrier. There are also legal factors to consider. If you're setting up a dash cam it must be placed on a very specific section of your vehicle's windscreen. The bottom-right-hand corner usually reserved for smartphones and sat navs is not an acceptable spot according to UK courts. 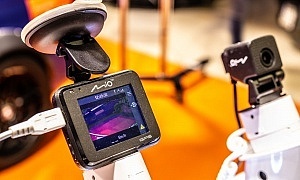 You would have to find a mount capable of holding your smartphone behind your overhead mirror, plus a charging cable long enough to be trailed to the 12V lighter socket. For more information check out our guide to how to properly mount a dash cam. When you pick up a Which? Best Buy you can be sure you're getting a dash cam that won't let you down. The very best dash cams all capture clear, defined footage with a wide-angled lens. They cope well with glare, work equally well at night, and can be easily mounted and dismounted. With something as important as in-car camera footage, you can't risk the outcome of a potential court case by settling for a sub-par option. 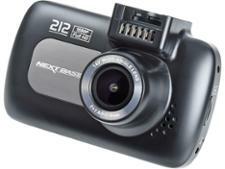 We believe dash cam apps are a waste of time - pick up a quality dedicated dashboard camera instead. 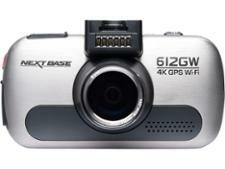 We rigorously test the latest dash cams to bring you our independent and impartial dash cam reviews and recommendations. During our dash cam tests, we take every dash cam out on the road to see how good it is. We drive a demanding route that includes minor and major roads, plenty of junctions and a variety of traffic hazards. We then assess the footage quality, including how clear and bright it is, and whether important details, such as number plates and street signs, can be read easily. As well as checking the quality of the footage, we assess how easy each model is to use. we install each dash cam in a car, checking how useful the instruction manual is, how easy the device is to set up and how easy it is to use once it's installed. We also look at how easy it is to remove the device from the mount, as well as removing the mount itself. The accuracy of any additional features, such as GPS tracking or G-force sensors, is put to the test, too.